Mike Topete has come a long way since he first, quite hesitantly, took a woodshop class his freshman year at Roaring Fork High School. Now a senior, he proposed a Capstone Project that would be “a personal, final test” of all the woodshop skills he’s learned over the past four years. 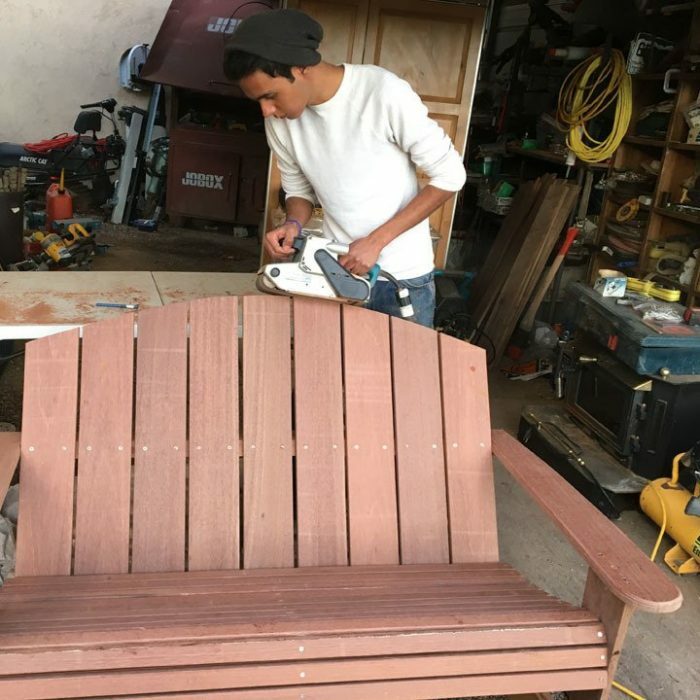 He decided to design and build a rocking bench for his grandparents in honor of their 50th wedding anniversary. Topete did have support along the way from his project mentor, Brad Nelson, who worked as the RFHS woodshop teacher Topete’s freshman year. The community is invited to view Topete’s rocking bench at the RFHS Art Show from 8 a.m. to 8 p.m. May 21 – 23.